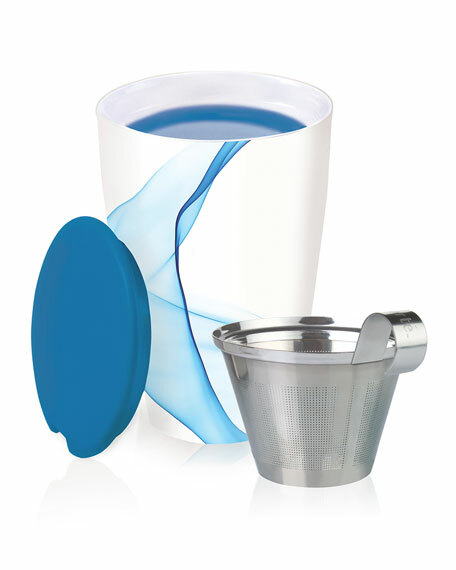 KATI® ceramic lidded steeping cup, 5.75"T; holds 12 ounces. 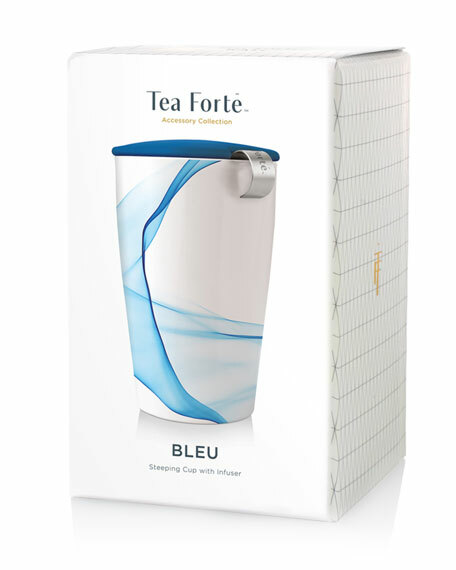 Bleu collection of exotic blue caffeine-free herbal teas sold separately. For in-store inquiries, use sku #2260909.